A collaboration between artists from the awarding winning dance company Urban Bush Women and UGA students and faculty. Urban Bush Women burst onto the dance scene in 1984, with bold, innovative, demanding and exciting works that bring under-told stories to life through the art and vision of its award-winning founder Jawole Willa Jo Zollar. The company weaves contemporary dance, music, and text with the history, culture, and spiritual traditions of the African Diaspora. 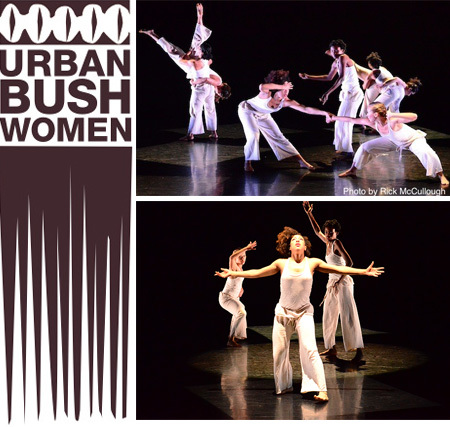 Urban Bush Women includes among its honors a New York Dance and Performance Award (“Bessie”); the Capezio Award for Outstanding Achievement in Dance; and two 2004 Doris Duke Awards for New Work from the American Dance Festival. Off the concert stage, Urban Bush Women has developed an extensive community engagement program called BOLD (Builders, Organizers, & Leaders through Dance), a network of over 29 facilitators that travel nationally and internationally to conduct workshops that bring the histories of local communities forward through performance. Through class discussions, forums, master classes, rehearsals and performances, students will engage in discourse on creative process that weaves cultural and civic engagement and builds communities. The project creates meaningful interaction between students and the works of an all-female African American dance company, offering perspectives in telling/dancing stories, promoting social change and building communities. Supported in part by Ideas for Creative Exploration (ICE), the Willson Center for Humanities and Arts, UGA Dance Repertory Project, Franklin College Visiting Scholar Program, Institute for Women’s Studies, Institute for African American Studies, Department of Dance, and the President’s Venture Fund through the generous gifts of the University of Georgia Partners and other donors.